You are using Samsung Android smartphone therefore you must need to install Myanmar Font about Zawgyi Font. If you would like to download this application and installing, because you have some without Root Access in your smartphone about Samsung to install. After you have downloading this application about installing, you must install it. 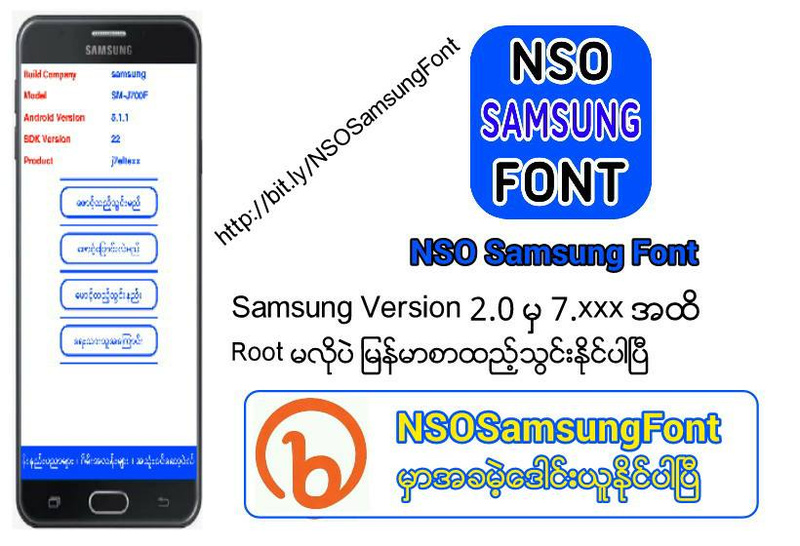 If you have some problem after installing to your using android smartphone, you can write under comment what about happy, Zawgyi Myanmar Font about NSO is allows you to send font in all the Samsung without Root access phone with effective fonts style. This apply fonts in the setting of your phone and having to install all the Zawgyi Myanmar Font..
2. Select Font Style actions. 0 Comment to "Samsung Android Phone of Myanmar font Application new Version 1.0 Apk"